Before I even arrived in the ‘green city,’ I was habituated to international communication and networking. 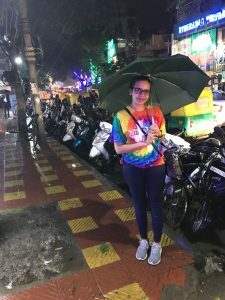 For months, I contacted several principal investigators around India to see if their interests matched mine and if they could accommodate me for the summer. Finally, a match was made to a neurobiology lab in the Indian Institute of Science (IISc). 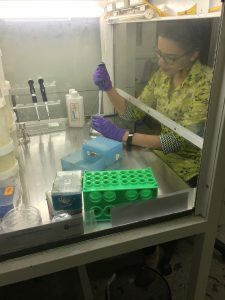 I was extremely excited since Dr. Ramanan’s lab beautifully melded both of my interests and was located in the south – a side of India I had never seen. India is a very diverse nation. In just a two-hour plane ride, I left the comfort of my family and mother tongue in Mumbai, and entered Bengaluru. Everything was different. The city was as green as ever. There were trees everywhere, and despite being the beginning of summer, the weather remained pleasant. Most people spoke Kannada, but it was almost too easy to find someone who spoke flawless English. The ladies who guarded my hostel helped me, without any complains, when I arrived at 1:00 AM and made small talk with me regularly. IISc was humongous. To walk to my lab took a solid 15 – 20 minutes. The first few days was like a scavenger hunt, trying to find different offices to get my scholarship or to complete paperwork. By the end of my experience, I had been in almost every building to either met friends, to study, or just for exploration purposes. I would definitely recommend anyone to come visit Bangalore and conduct their internship at IISc. It is such a caring city with plenty of nearby tourist spots. In my time there, I would regularly frequent New Bel Rd., which offered a variety of eateries from the famous ‘Truffles’ burger house to ‘Stoned Money,’ a loved ice-cream parlor. To shop, there is Malleshwaram Market, Brigade Road, and Commercial Street. Outside Bangalore, nearby cities, such as Chennai or Mysore, are gorgeous locations that showcase rich and unique cultural histories and cuisines. 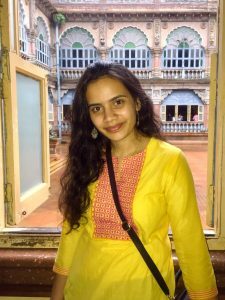 In Chennai, I was able to walk up a lighthouse to look at the beach below, and in Mysore, I was able to visit old palaces and have a one-of-a-kind, scenic road trip. This scholarship and opportunity is what you make of it. I tried my best to balance my research experience with exploring the city and participating in intercultural dialogue.